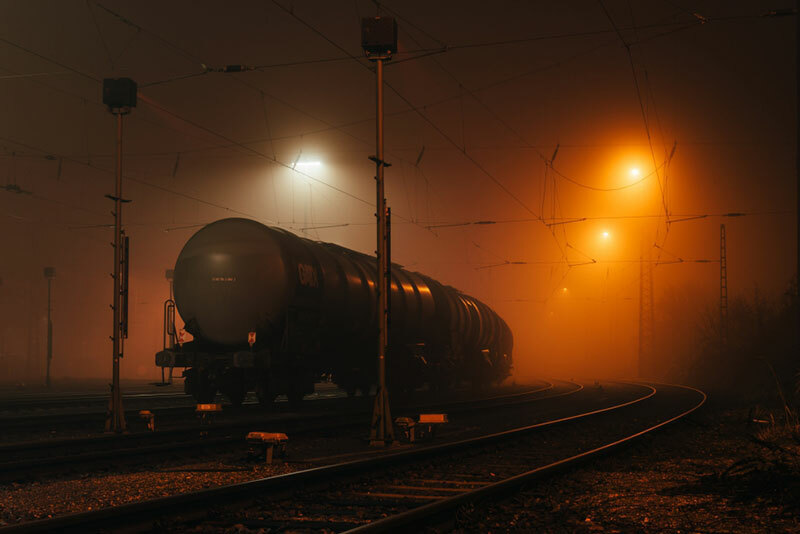 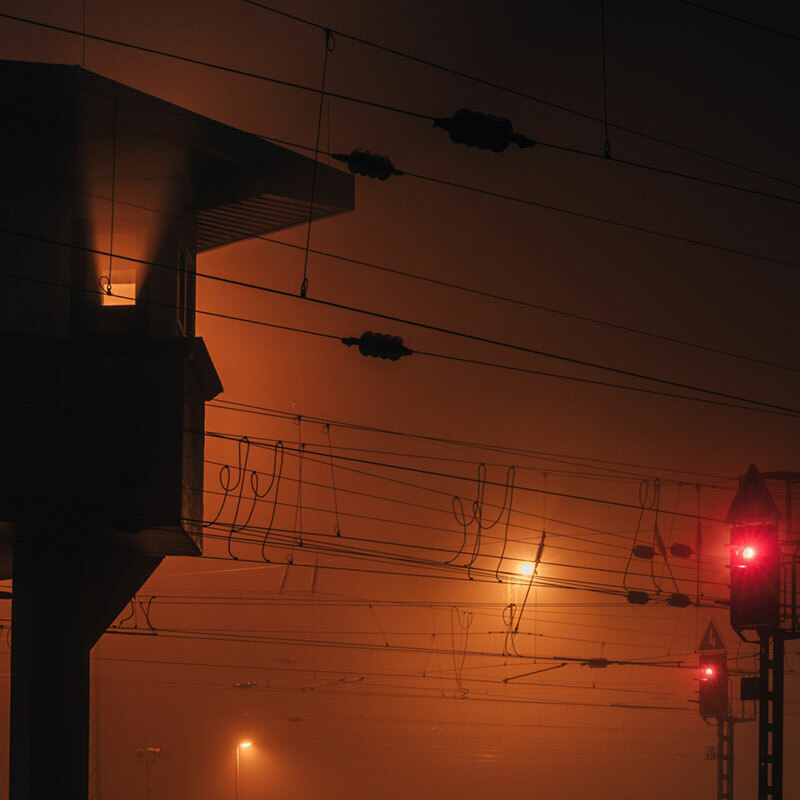 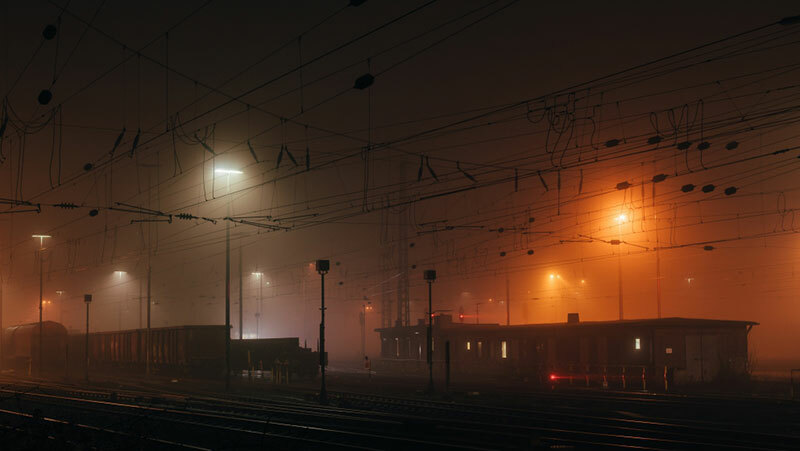 Photos of a train yard at night by Cologned-based photographer Michael Streckbein. 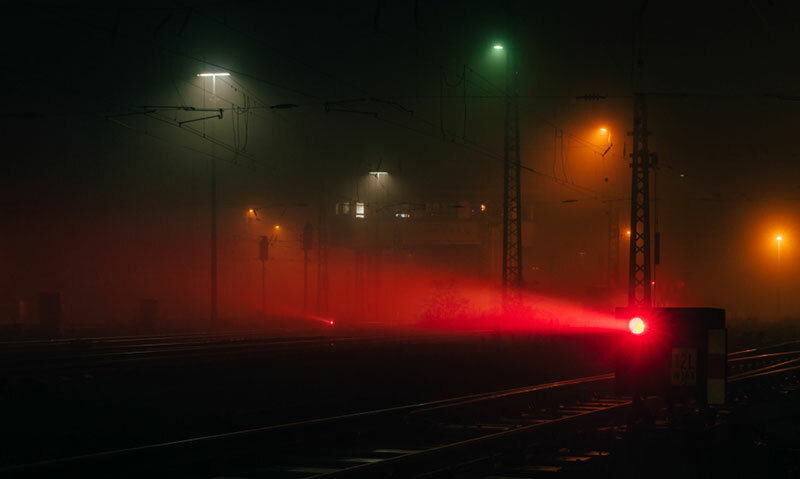 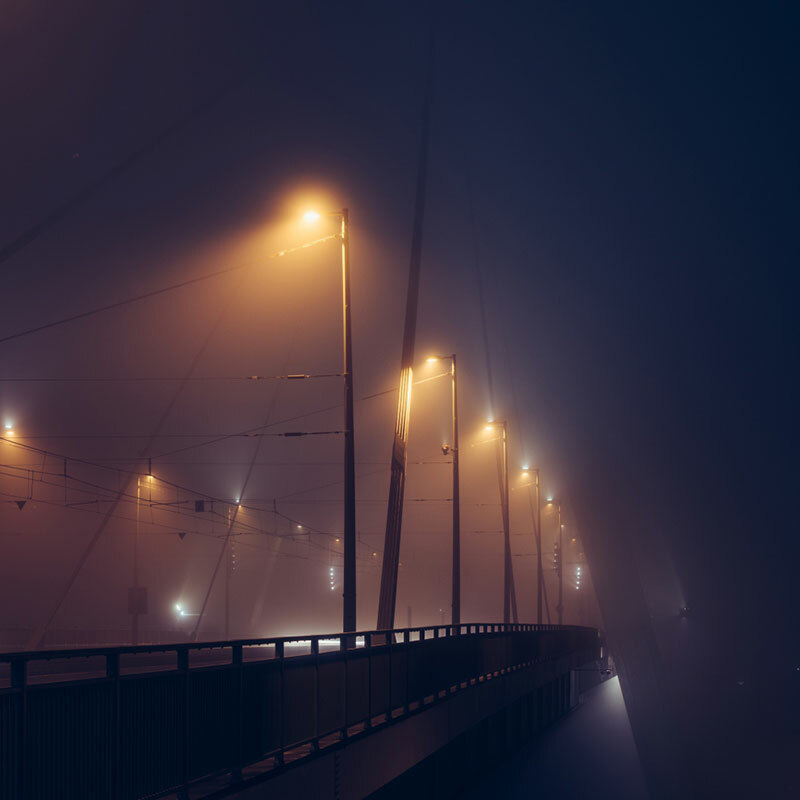 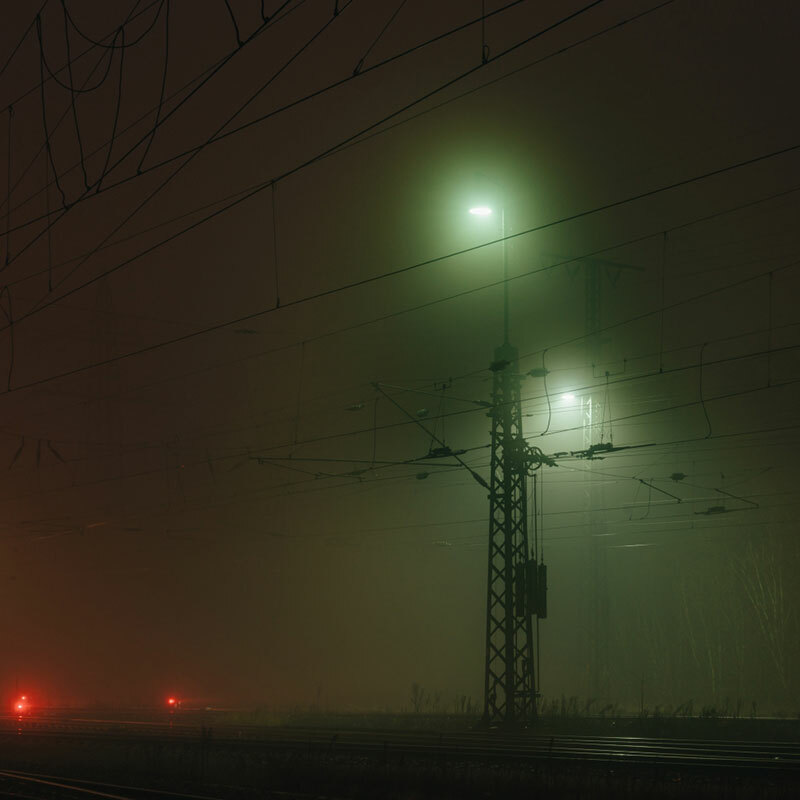 The atmosphere created by the heavy fog and street lights gives the images a soft feel in what Streckbein describes as "an otherworldly night of industrial silence." 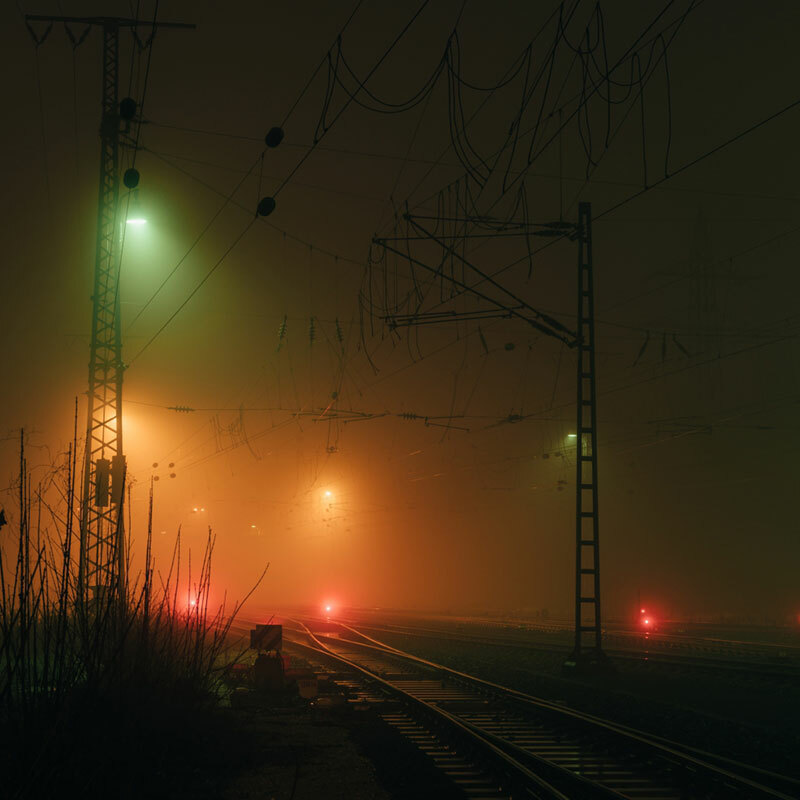 The diffused colors are strong but not overbearing creating a beautiful glow to the scenery in what would otherwise look mundane during the daytime. 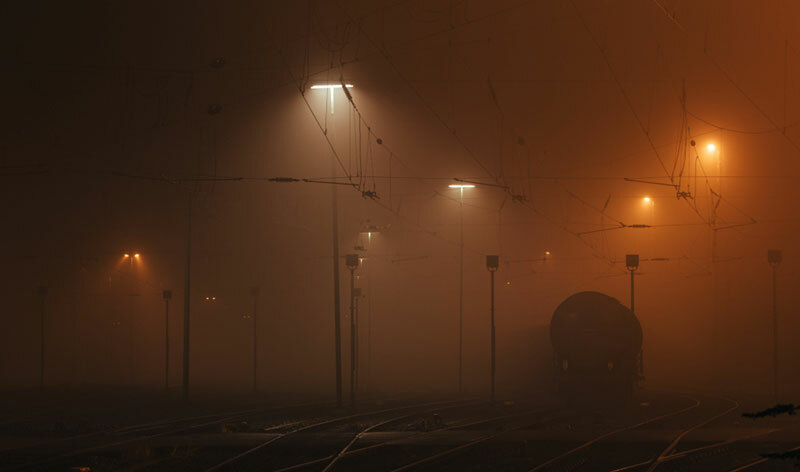 Photos of a train yard at night by Cologned-based photographer Michael Streckbein.